Although the “Wild West” is a time period generally defined from 1865 to 1895, there are many events that shaped the American West as a region from ancient times up to 1916. Paleo-Siberians migrate to North America from Asia via the Bering Strait land bridge. Ancient Puebloan culture thrives in the Southwest. 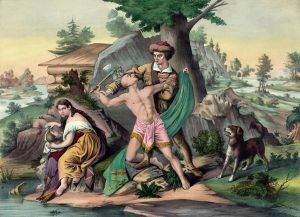 Christopher Columbus lands at San Salvador. 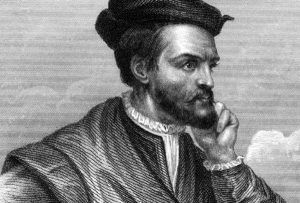 Francisco Vasquez de Coronado leaves Mexico to hunt for gold in the Southwest. 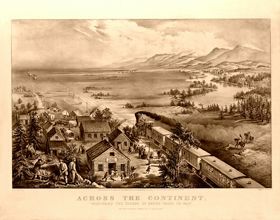 Coronado’s party crosses the Arkansas River and goes as far as the present-day Kansas/Nebraska Border. 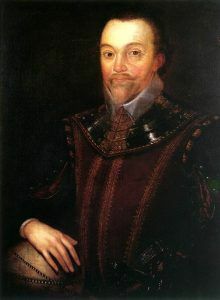 Portuguese navigator Juan Rodriguez Cabrillo lands at San Diego, California. Captain James Cook, seeking the Northwest Passage, charts part of the Oregon coastline. The Mohawk, Oneida, Onondaga, Cayuga, and Seneca tribes form the Iroquois League of Five Nations. Juan de Onate establishes San Gabriel in New Mexico. Captain John Smith published his account of the New World, urging more colonists to follow. Don Pedro de Peralta founds Santa Fe, New Mexico. 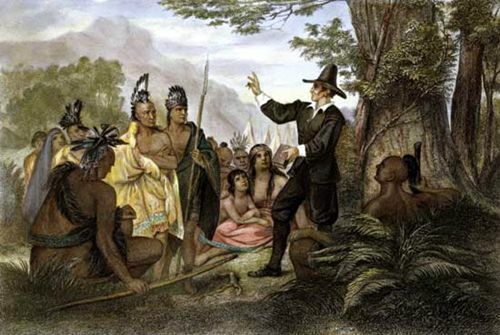 On March 22, the first colonial treaty with Native Americans was signed between Massasoit, Chief of the Wampanoag, and English pilgrims on behalf of King James I at Strawberry Hill, Massachusetts. On June 18, the first duel in America reportedly took place in the Plymouth Colony in Massachusetts. Northern New Mexico Pueblo Indians, outraged by atrocities committed by Spanish explorers and colonists, resist in the Pueblo Revolt. Many settlers are killed and the rest are driven south. The Spanish establish the first permanent settlement in Texas at Ysleta, near present-day El Paso. Diego de Vargas re-conquers New Mexico. Juan de Ulibarri claims Colorado for Spain. Louis-Joseph and Francois Verendrye explore South Dakota, seeking a water route to the Pacific Ocean. The French and Indian War ends with the Treaty of Paris; Louisiana is given to France. The Spanish build Mission Basilica San Diego de Alcala, the first California mission. Daniel Boone discovers the Cumberland Gap. Fort Tucson is established in Arizona. Franciscan friars Escalante and Dominguez explore Utah. 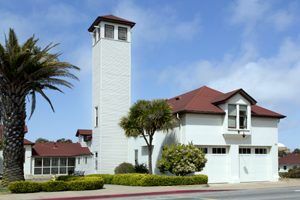 The Presidio is established in San Francisco, California. Los Angeles, California is founded.